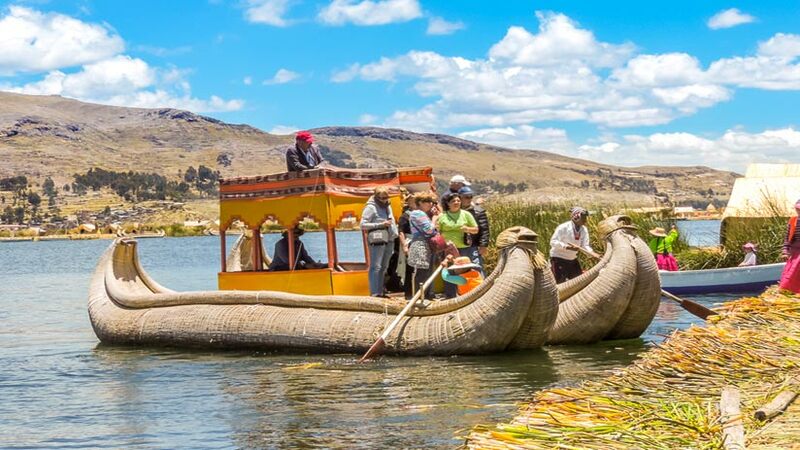 The Lake Titicaca is known in the whole world and a popular destination for any traveler who is roaming through Bolivia and Peru, as it is accessible from both countries. From Puno (Peru) you can navigate and enjoy the vastness of the lake. But not only that. 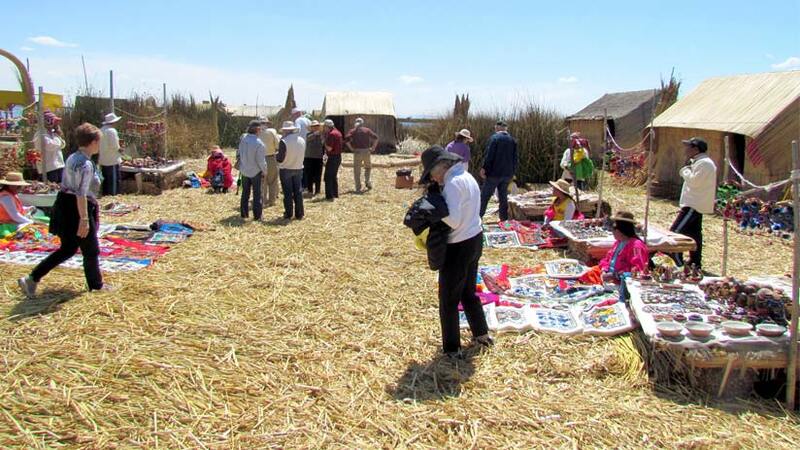 In fact, it is home to the Uros people that live on floating islands on Lake Titicaca who maintain the traditional lifestyle from long time ago. Where is Lake Titicaca? As mentioned above, you can access it either from Bolivia or Peru. The border of both countries actually goes directly through the lake. But where is Lake Titicaca located exactly? The most common cities to access in Peru is Puno. It is at around 3,827 m, so it is very recommendable to acclimatize first before you start your trip there. Only a short drive from Puno lies Copacabana in Bolivia. From there you can go by boat to the Isla del Sol and Isla de la Luna, a great addition to your visit. It is also known for being the highest navigable lake in the world. Quite incredible, with being at around 3,812 m.
Only around 5 km from Puno are the floating islands of Uros located. They are all made out of totora reed, plenty of it can be found growing around the lake. But not only the islands, houses, boats and beds as well are made out of the same reed. Usually, it is necessary to renew the totora layers every three to six months. An island, if maintained thoroughly, can last up to 30 years in total. Furthermore, it has a lot of benefits: The white part of it is actually edible with a sweetish taste. For example, it is used as a pain killer and rich in iodine. 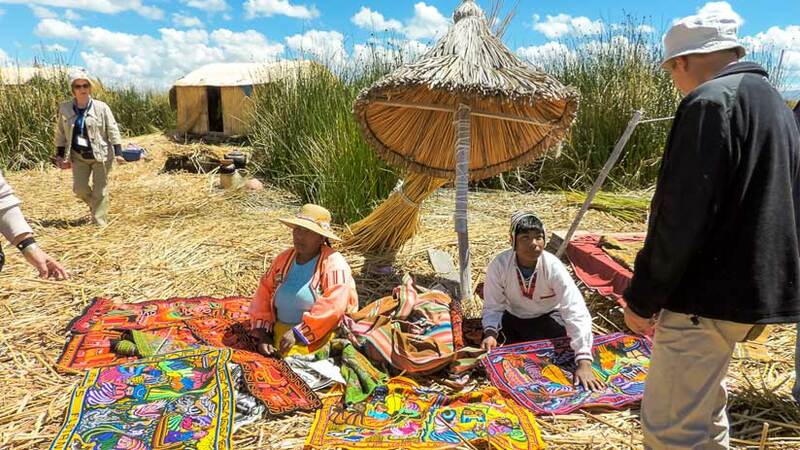 The Uros people still keep living a traditional life, as taught by their ancestors. They claim to have black blood and not feel the cold. Considering the harsh climate there, the latter is most likely very true. On their islands live guinea pigs, rabbits etc. and fishing catfish, kingfisher and trout is an important daily task. Nowadays, tourism is a great part of their lives as well. Every day, groups of tourists take a trip on the lake and visit the islands. Once there you will learn more about the people there and get the chance to buy traditional handmade arts and crafts by the locals such as ceramics, textiles, decoration and much more. The lake has an interesting history that is important to the local people. It is said that Tayta Inti, also known as “Padre Sol”, saw that there was a lot of disorder going on in the world. So he sent Manco Capac and Mama Ocllo who rose from the Lake Titicaca with a golden scepter to end chaos and find the best place to form a new empire. That is how they wandered around up north until their scepter sank into the ground, the sign that they have found the right place. It was in the Cusco region. Later, the city of Cusco became the capital of the Inca empire Tahuantinsuyo. It is believed that Manco Capac taught men the secrets of agriculture and how to build houses while Mama Ocllo showed women domestic chores and how to weave textiles. The Lake Titicaca mystery is still passed on today, sometimes with a slight change in the tale. Some say that it was not Tayta Inti who sent Manco Capac and Mama Ocllo, but the Inca deity Wiracocha. Most international flights to Peru arrive first to Lima. As the main destination of the majority of the travelers is Machu Picchu, their connection flight is to Cusco. 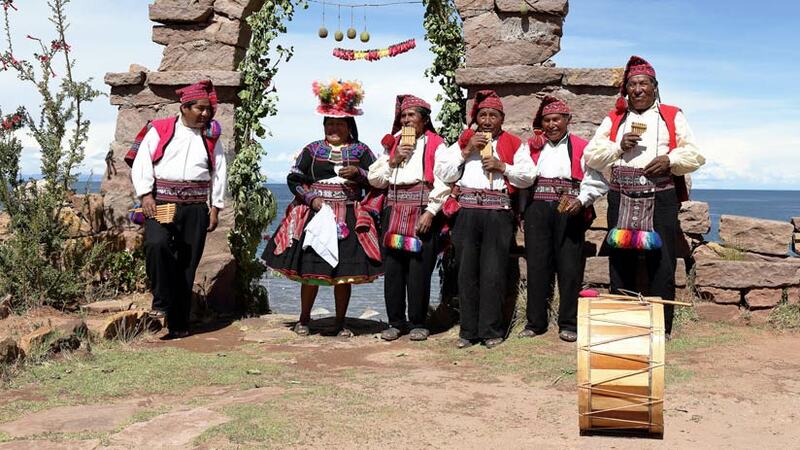 Now, there is a lot to see here and, especially if time is short, is it really worth visiting Puno with the Lake Titicaca instead of for example Iquitos in the jungle or Arequipa with the Colca Canyon? The answer is yes, definitely! Not only is the lake incredibly beautiful, but alone for the rich culture of the Uros people you should consider a visit. There are daily night buses that leave from Cusco to Puno (around 6 hours) or direct flights from Cusco to Juliaca (around 1 hour), the closest airport to Puno. There are tours every day and you can either book them online or once you get there. Consider booking a tour that includes the Taquile Islands as well, they are beautiful and you can get in touch easily with local people there. 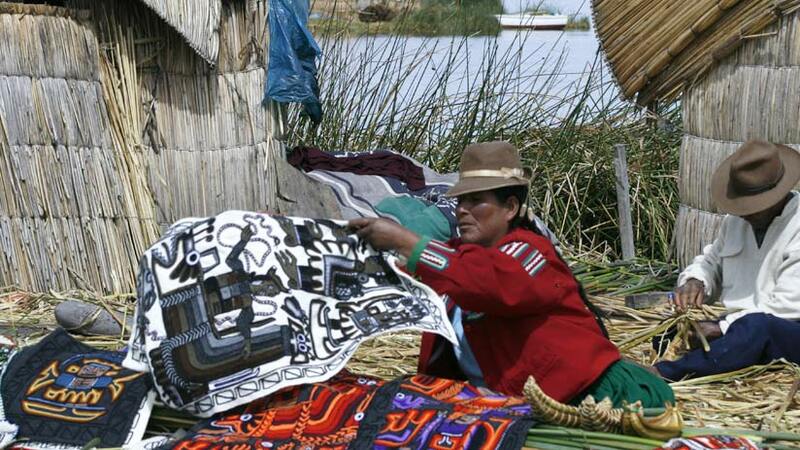 If you have more time to spend, what about spending a night on the Uros islands? Sure, it is definitely no 5-star hotel experience but an authentic one that you will never not forget. 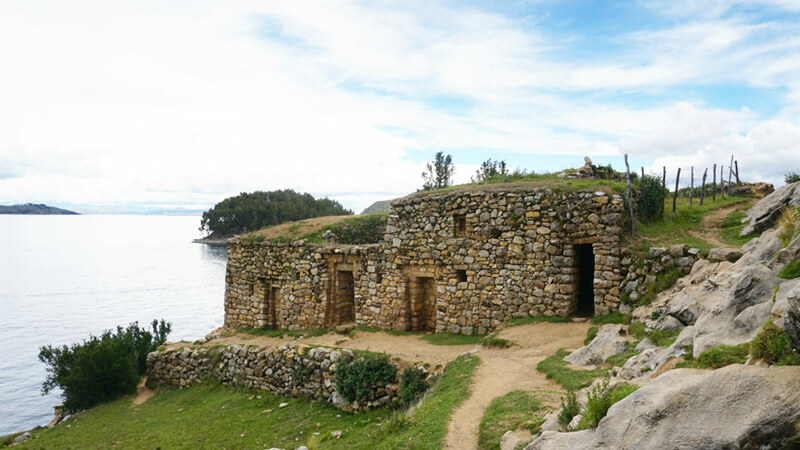 From Cusco to Lake Titicaca, a journey well worth making. Peru Activities, Travel To Peru family vacations, traditions, visit peru. permalink. What are the characteristics of a good tourism company? What places to include in your trip to Cusco?